The developers state that the program “guides you through the first 28 days of your attempt to quit smoking as well as helping you prepare for your quit. 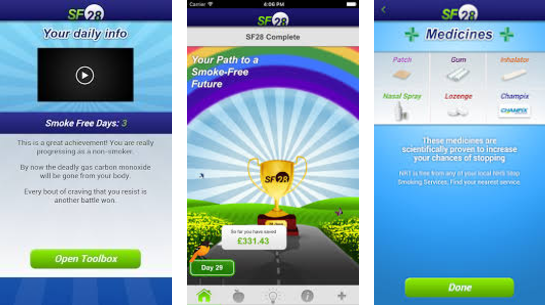 It is based on the latest scientific research and provides a range of tools and advice to help you quit smoking for good.“ (Accessed Google Play, August 16 2017). We do not further describe the program due to the score it received in our reviewing process.